Chester Court Hotel, a characterful Victorian house built in 1880 whose interior offers a delightful mixture of old fashioned opulence with a definite modern twist! 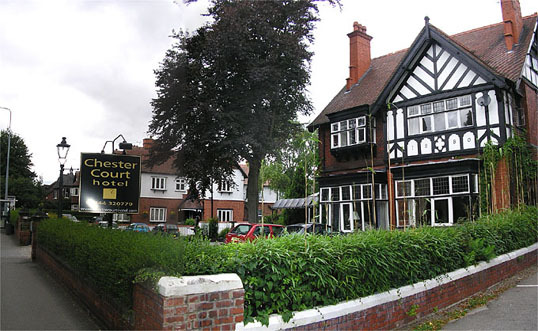 A warm welcome is always assured from the friendly proprietors and staff at Chester Court Hotel. 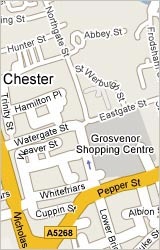 Conveniently located within walking distance of the city centre and Chester railway station. Within ¾ of a mile from the M53. 20 en-suite guest bedrooms are comfortably furnished and provide all the features you would expect from a modern hotel. Relax in this friendly, family run hotel where you will find the emphasis on comfort and cleanliness, where our staff will treat you as an individual and take time to meet your needs. There is free parking in our car park.